I called Wiggy to see what all the noise was about his bags on some of the review.com areas. He explained it all. He also explained where and who was using his bags so I contacted them to see if they were satisfied and they said they were. I also contacted some of the folks who gave negative reports on the bags. After talking to them it seemed as though they were unhappy with his personality more than the product. To make a long story boring I took Wiggy's advice and got the two bags that go down to -40 after ordering a -60 bag. He talked me out of it and saved me a few bucks. The end result was it kept me warm. Didn't think a bag could do that. It even got wet 3 out of the 7 nights and still kept me warm. Have an "el cheapo" tent. We were in Utah snow and ice and lots of wind, had to open it in the night as I was too hot, no moisture buildup inside to cool me down either. One great bag—- that is one great endorsement as I am hard to keep warm even at home. 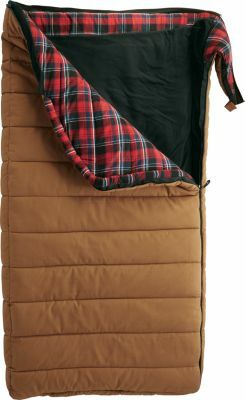 Great sleeping bag but you need a semi-truck to haul it, anyone can make a warm sleeping bag with as much material as they use, etc. They are way overrated in consideration to their bag's weight and size. In my opinion, it's good for winter car-camping only and their customer service IS HORRIBLE. The company is owned and operated by two outdoor junkies who are TOTALLY oblivious to professionalism. Look at their website . . . they don't even have their return policy or return shipping address listed (PO boxes won't work for UPS/Fed-ex) and despite their so called lifetime guarantee, they make it such a hassle to return their products. 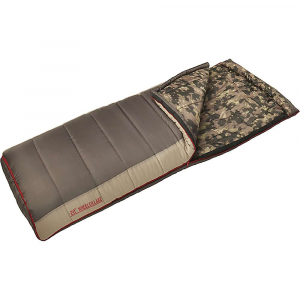 Don't buy this sleeping bag unless you see how huge it is first to see if you have enough space in your U-haul to take it with you b/c it costs a lot to ship back to them. 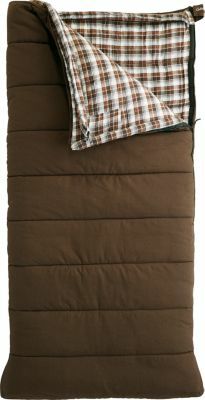 Very warm sleeping bag, still way over-rated product, trash-bag company management. Recommend only with lots of caution. The Wiggy's -40° mummy is not available from the stores we monitor.